Tamil movies : Illayaraja to work with Ram Gopal Verma. Ram Gopal Verma, who took A.R.Rahman to Hindi and made a sensation out of the album Rangeela, is all set to repeat that with Illayaraja. Verma, who is to remake his first ever movie, Siva in Hindi has approached Illayaraja for scoring the music of the movie. The original which was also dubbed into Tamil as Udaya, had the music by Illayaraja. Verma is very particular that the musical feel of the movie remains the same. 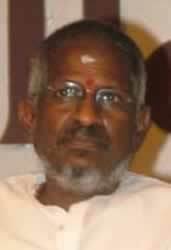 Illayaraja who has seldom worked in Hindi has not confirmed his acceptance. But Illayaraja fans will definitely want the maestro to accept the project as Ram Gopal had always extracted the best out of his music directors.